It's been forever since I've done one of these post and honestly I have no clue why. 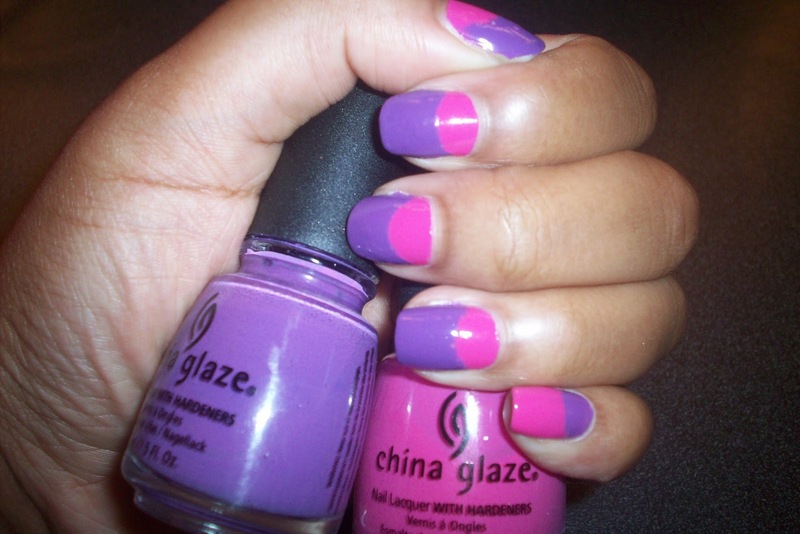 I am constantly trying new designs and colors on my nails. Here is my attempt at half moons.. 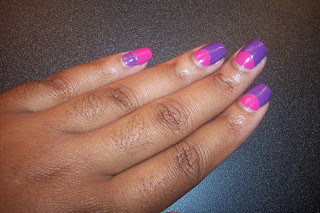 I call it Barbie World half moons. ﻿The pink is Rich & Famous and the purple is Spontaneous both by China Glaze for $ 3.00 each. That is too cute!! Did you do it freestyle or did you use something to get the half-moons perfect like that? How are you? Your blog is great and I love your nails! I'm glad that I've visited yours.